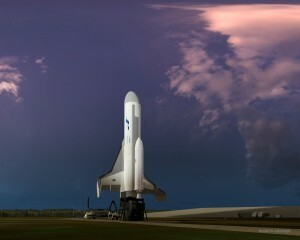 The XS-1 is a vehicle Boeing has been developing which will make launching satellites a much more efficient endeavor. Now, Boeing has announced that it is working DARPA in order to further advance the XS-1 in order to eventually make its DARPA’s next generation hypersonic space plane. Ground testing is still a ways off, with 2019 being the earliest it could take place, which means the space plane itself will not come to fruition for quite a while. Still, the XS-1 represents the intriguing ability to eventually be able to fly to suborbital heights without boosters before deploying a disposable, secondary rocket to shoot its payload into orbit. Even more impressive is the spaceplane’s ability to perform the same task with a second satellite up within hours of launching the first.